With the increasing health awareness most people believe Cholesterols to be the Villains in their lives. However, cholesterols are not completely the bad guys. There are various types of cholesterols; we can conveniently classify them as good ones and the bad ones. Our body need the good ones for various body functions. Only the excess of the bad ones is really harmful for our health. Too much of bad cholesterols eventually deposits themselves in the blood vessel walls leading to all sorts of cardiovascular disorders. If you haven’t had your cholesterol levels checked-up in years, you may want to do it now. Regular check-ups ensures your cholesterol levels are in control and cardiac health is at its best. Don’t panic if the levels are higher than the expected range. It’s not really too hard to bring them back down. Let’s take a look at some of the methods to keep the cholesterol level low. First thing you need to do is consult a doctor and assess your condition. There are various factors that need to be considered while planning out. Family history of heart disease, your past history of heart disease, risk factors like high blood pressure (hypertension), diabetes, obesity and smoking. If the risk is higher, then the desirable cholesterol levels should be set lower as compared to cases with low risk profile. Smoking has harmful effects on almost all parts of our body including cardiac health. It results in the damage to inner arterial lining called endothelium. Also, carbon mono-oxide and carcinogens present in the smoke makes the vessels predisposed to spasms, leading to rise in cholesterol levels in blood. It lowers the good cholesterol (HDL) and increases the bad cholesterol (LDL). Smoking can also result in cardiac palpitations which affects the overall quality of life. Thus, it is advisable to quit smoking as soon as possible. Alcohol should be consumed in moderate amounts only, not more than one or two drinks each day for men and not more than a single drink for women. If you take more than this amount not only you’re going to raise your cholesterol levels but also add extra tires around your waistline. If you’re obese, it’s advisable to lose weight. There are several methods to lose weight like running, walking, aerobics, weight training, rope skipping or any other sports would work as well. When the weight is under control, triglycerides and bad cholesterol levels would decrease and the levels of good cholesterol would rise. In the changing lifestyle workouts have become a necessity to keep ourselves fit. Exercising is also a great way to keep the cholesterol levels in check. According to experts 40-60 minutes of daily workout can lower up to 10% LDL, while increasing up to 6% HDL levels. Almost all exercise regimes irrespective of intensity or type have effect on cholesterol. Reduce saturated fats from your diet, while you must completely abolish trans-fat from your diet. Avoid fat-rich diet, fried foods, egg yolk, and dairy products prepared from whole-milk. Trans-fats and saturated fatty acids elevate the levels of bad cholesterol in blood. The maximum recommended daily uptake of saturated fats is 20g, thus, take care not to include the foods with high levels of these fats. Most fruits and vegetables are rich not only on healthy antioxidants but also dietary fibers. Fibers helps in reducing the blood cholesterol levels, particularly soluble fibers. Fiberss are like sponge that can absorb the excess of cholesterol from the digestive tract. Along with it dietary fibers have a lot other health benefits. Rich sources of dietary fibers include oats, dried beans, barley and fiber products that contains psyllium. Green tea is an excellent healthy beverage, which certainly are healthier alternative to soda drinks and other sugar-rich beverages. Research has shown that green tea contains compounds which aids in lowering LDL, the bad, cholesterol. Even green tea extract can reduce the total cholesterol levels. 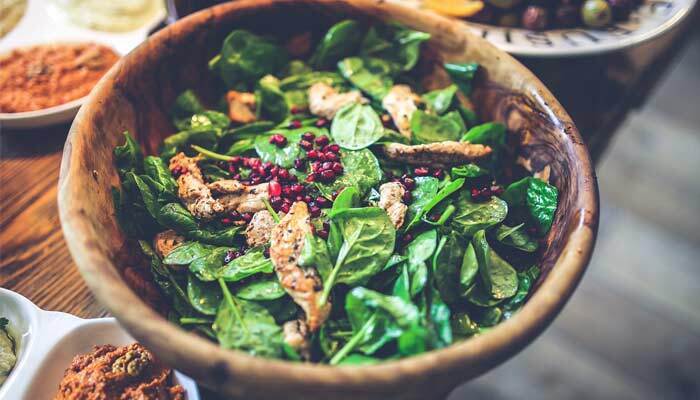 Green leafy vegetables are surely power packed with various nutrients. In this regard spinach is the best. It contains about thirteen flavonoid compounds that provides protection against cardiac diseases, cancer and osteoporosis. Also, half a cup of foods rich in lutein every day are effective against heart attacks. For the non-vegetarian individuals, sea foods are wonderful for keeping good health. Rich amounts of omega-3 fatty acids helps in preventing heart diseases. Consuming fish and other seafood helps in raising the levels of HDL (good cholesterol). You may also take cod-liver oil as dietary supplement. The vegetarian candidates can take plant products like canola, soybean, flaxseeds or walnuts. Several studies have established that consuming nuts on a regular basis can reduce cholesterol levels to a certain extent. Almonds and walnuts have been both shown to be effective. However, nuts are calorie-rich thus must be consumed carefully. Although in low risk individual lifestyle modifications alone should be sufficient, but in high-risk individuals cholesterol lowering drugs may be required. There are several types of medications available like bile acid resins, niacin and fibrates, but statins are the drugs of choice in raised cholesterol.